ONE ITEM MULTIPLE WAYS- jacket series. After the leather skirt series comes this faux leather jacket series. I have had this for a while now. It's one of those closet staples that come to my fashion rescue, each time I reach out to it. So here are a handful of ways I've styled it over years. 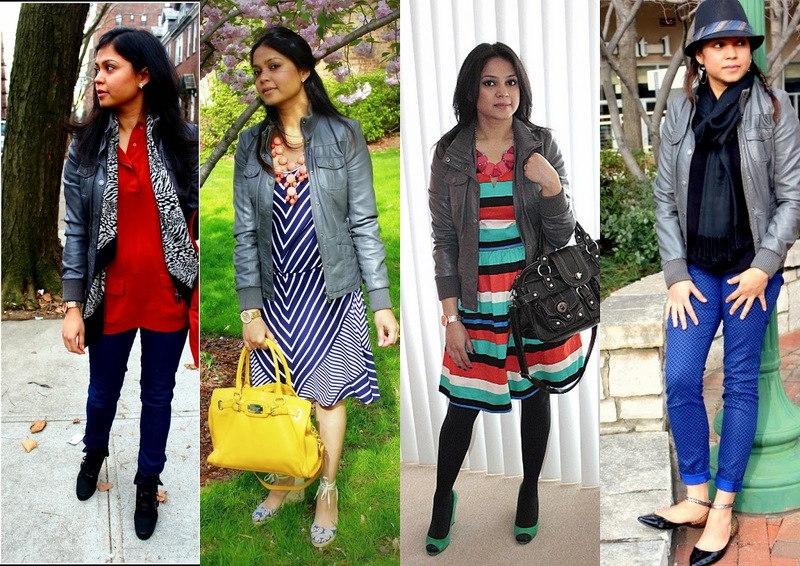 Hope you like how I've remixed the same neutral faux leather jacket !